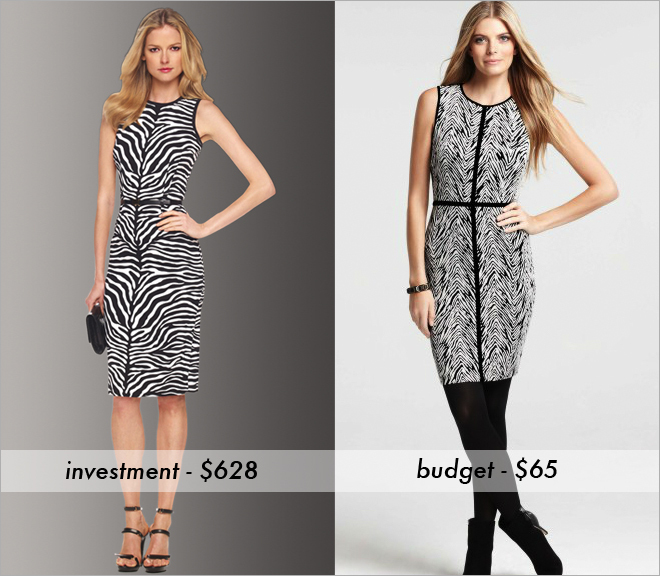 I found a couple of cute sheath dresses in zebra print. One is an investment piece and the other a more budget friendly option. What do you think splurge or save? Are there items in your closet you consider investment pieces that you will splurge on?